In most Dallas, Texas, homes, the air conditioner is the most expensive appliance. Repairs or replacements can cost thousands of dollars, so you should avoid problems and repairs by taking good care of your system. Maintain your air conditioner by changing your air filter, cleaning your outdoor unit regularly, and contacting a professional. You should check your HVAC system’s air filter once per month to make sure it’s clean. If you see a lot of dirt or dust, change it. Install a new filter at least every three months. A clogged or dirty air filter will force your HVAC system to work harder, wasting energy. It can also spread pollen, bacteria, fungi, and other contaminants through your air conditioner and your home. Trim tree branches and shrubs near your outdoor unit to keep leaves and twigs away, and rinse off the top of your unit often to remove grass clippings. Don’t use a pressure washer because it could lead to damage. You should also make sure there’s at least a couple of feet of space around all sides of the unit for optimal airflow. If your outdoor unit is sitting on a cement pad, make sure it’s level. You should have your HVAC system checked by a professional at least once per year. That way, any hidden issues can be fixed before they make your home uncomfortable or become larger issues. You should also watch for signs of a problem, like high utility bills, bad smells, strange noises, or warm or cool areas in your home. If you notice any of these, have an expert inspect your system as soon as possible. Bill Joplin’s Air Conditioning & Heating is a Carrier factory-authorized dealer with 40 years of experience. 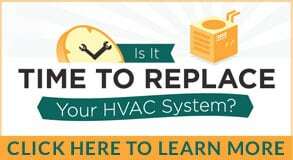 We can help you maintain, install, and repair a variety of HVAC equipment. Call us anytime at 888-414-4655 for excellent service from our friendly technicians.